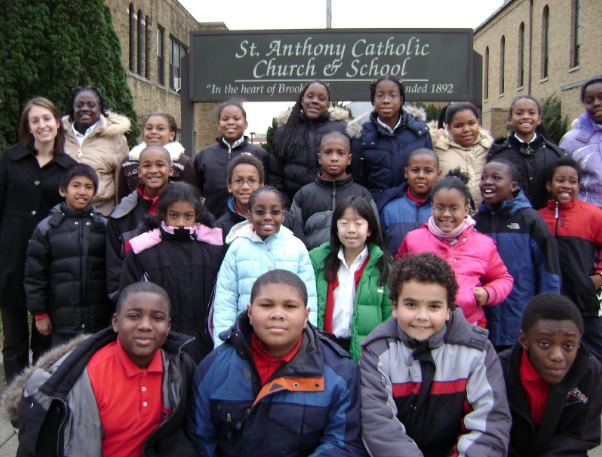 The mission of St. Anthony Catholic School is to prepare it’s students for lives of service and leadership rooted in the Catholic values of faith, hope, and acceptance. Our Mission is to educate academically talented adolescent boys from low-income families, regardless of religious denomination, providing for them a disciplined, rigorous learning environment. The Goal of the Education is to prepare these boys to become "men for others" who, having gained confidence spiritually, intellectually, emotionally and physically will be able to succeed in a college preparatory high school on their way to becoming leaders in their communities. Cornerstone provides an academically rigorous education founded on a Christian world view, in a manner that fosters a lifelong love of learning. Cornerstone fosters a student culture of mutual respect in which moral character is developed based on Biblical principles. Cornerstone equips students to participate in and transform the society in which they live. Cornerstone seeks to represent and be economically accessible to the community it serves, with its racial, economic, and social diversity. Cornerstone recognizes the primary responsibility of parents in the educational process and seeks to partner with them to provide the best education possible. Cornerstone seeks to foster a sense of community among parents, staff, students, volunteers and participating partners and churches. Healthy Babies Project, Inc. (HBP) is a private, not-for-profit, community-based support organization for District of Columbia pregnant and parenting women and families. We help at-risk D.C. families have healthy babies and move out of the cycle of poverty. We reach out to high-risk, low-income, substance-abusing, pregnant and parenting women, men, and their families. We remove barriers for health and success by helping clients identify what they need. We work with service provider partners to connect women and families to resources including health care, housing, nutrition, mental health services, educational support, skills building, substance abuse support, and employment. We stay with clients long-term to give them the best chance for success. Women, babies, and families have the best chance for health and well-being when all their needs are addressed: health care, mental health care, substance abuse, educational training, job skills planning, employment, and living situation. People respond to personal attention. Intensive home visits, counseling, and long-term support offer new parents and families the best likelihood for healthy outcomes. Families are the foundation of our society. We serve all members of the unit – mothers, fathers, children, and others – to help build strong, healthy families. We cultivate reciprocal relationships with community organizations in order to meet our clients’ needs and offer our services to theirs.